Finished and Ready To Eat! 1. Preheat the oven to 325 degrees. Grease a large baking sheet. 2. In a small saucepan, combine the maple syrup and coconut oil. Bring to a simmer over low heat for about 4 minutes and make sure to stir constantly. Take the mixture off the heat, add the vanilla, and set aside. 3. In a large bowl, stir together the remaining ingredients. Drizzle with the hot syrup and stir well to coat. 4. 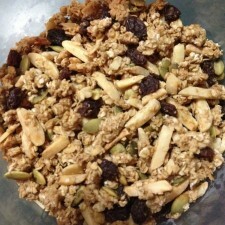 Spread granola mixture evenly on the prepared baking sheet. Place the sheet into the oven to bake. You’ll want to stir the mixture once every 10 minutes for about 20 to 30 minutes. The granola will turn a nice golden brown. Once baked to your liking, remove from oven and let cool. 5. 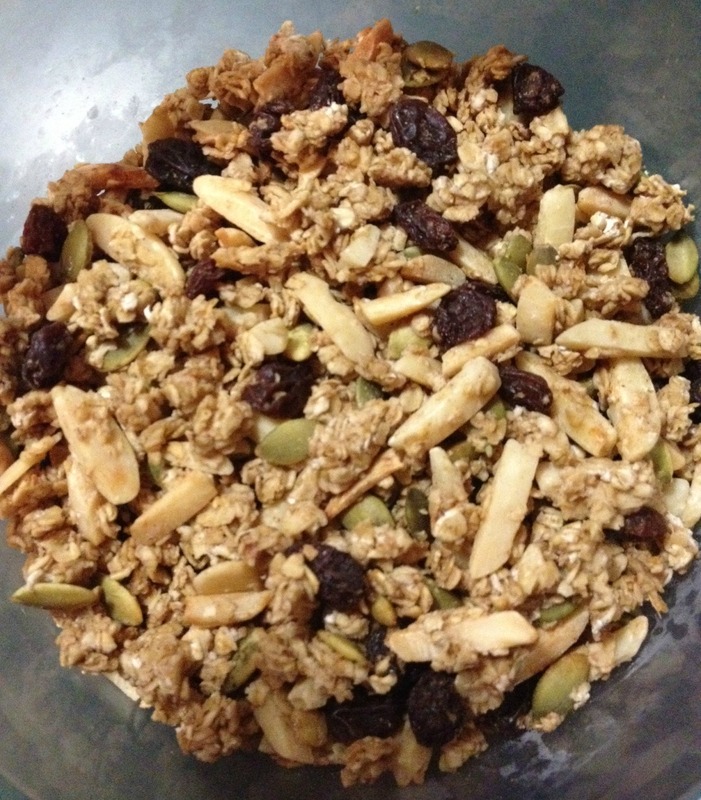 Store the granola in a sealed plastic container in the refrigerator for up to 3 weeks and enjoy!